Call or email Nina to get more information and check to see if this vehicle is available. They move quickly! We will be happy to schedule an appointment for you to test drive this vehicle today! 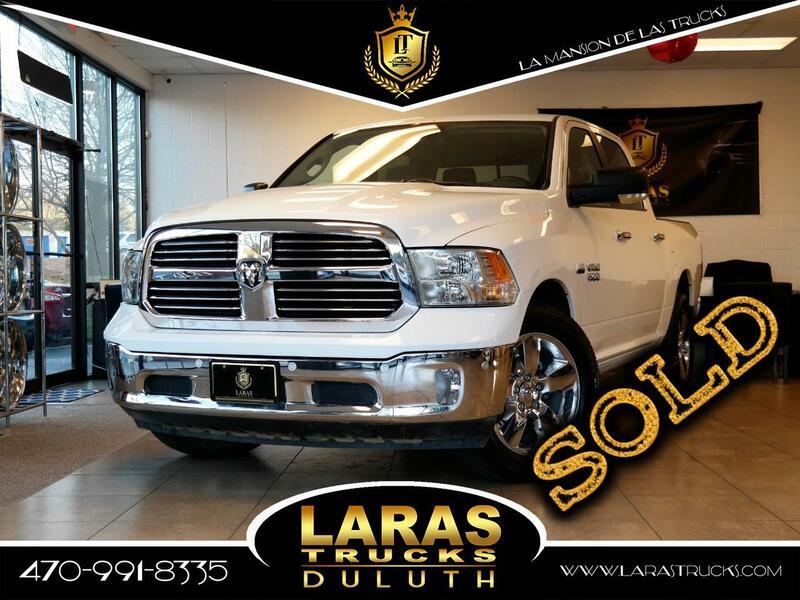 Remember here at Lara Truck Sales we make sure that Everyone Rides Home in the vehicle of their choosing with the payments that they can afford. We will work with all types of credit and we are always running specials throughout the year. Lara Truck Sales- Price does NOT include Tax/Tag/Title *Internet Cash Price. SOME VEHICLES WILL APPEAR WITH DEMO WHEELS, PLEASE CALL FOR MORE INFO Call: 470-292-3018, 3020 Satelitte Blvd. Duluth, GA 30096. Other bank restrictions may apply such as loan amount, term, payment per month and minimum income requirements. Call now to speak to a sales professional or apply online to get pre-approved. Georgia Buyers We recommend that all of our buyers set up an appointment before coming to our dealership. This way we can provide the highest level of service and make sure that the vehicle you are interested in is available. We rely on Car Fax reports to give you the full history of the vehicle that is available. These sources pull from different resources and are never 100% accurate, sometimes some information does not make the history reports. We highly recommend that our customers preform a pre-purchase inspection. Registration can take up to 30 days to be completed. Once all paperwork has been transferred to the appropriate tag office we will send you a registration letter via mail or email. Georgia emissions are required to be performed if the county requires them. Please confirm with your knowledgeable sales team if your new purchase would need emission work done. You can also go to a third party source, cleanairforce.com to confirm that the vehicle has been tested and passed. Georgia law does not allow us to hand over any title during the sale, even if you pay cash. Certain processes are required and we must abide by the regulations. Out-of-State Buyers Lara Truck Sales does a lot of business with customers outside the state of Georgia. This eliminates any surprise that could happen when you get here. We try to do our best to satisfy all of our customers and we would be more than happy to take the vehicle to the mechanic of your choice (you will be fully responsible for any and all charges that may apply). Message: Thought you might be interested in this 2015 RAM 1500.